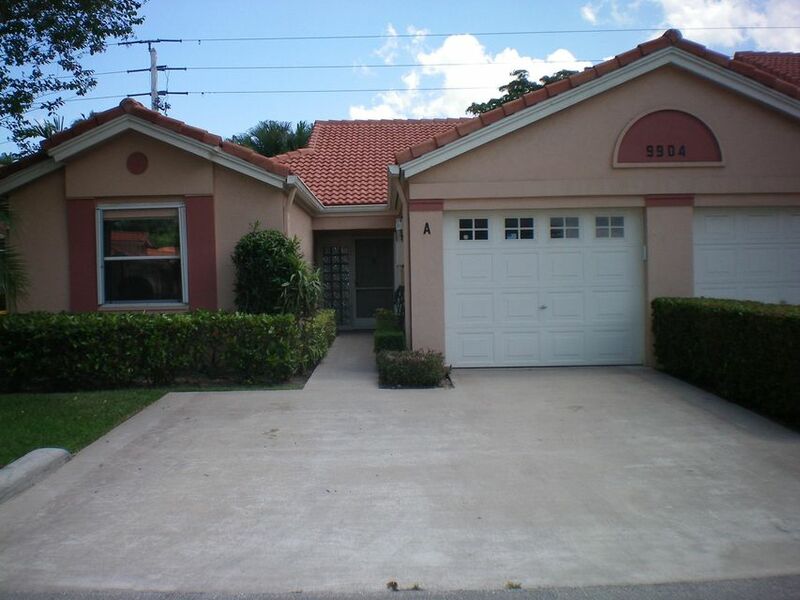 Palm Isles Located in Boynton Beach Blve and Hagen Ranch Road. This is a 24 hour guard gated community of single family homes ,one story attached villas and 2 story condominiums. the second floor has a private elevator in side the cono, you will have a choice of walking up one flight of stairs or taking your own private elevator to the main living area with high cathedral ceilings. There is over 1,600 air conditioned square feet. Two bedrooms, two baths with living room, dining room laundry room, and most have a glass enclosed air conditioned Florida room overlooking the lake. Built by Oriole Homes in 1992 - 1998 Prices are in the mid !00,00s to mid $200,000s.Boynton Beach is on the East Coast of Florida is only a short drive to the beautiful beaches, Atlantic Ocean. You are close to The Florida Turnpike, and all major highwaways. Close to shopping, restaurants, theatre and drug stores. Palm Isles has a 50,000 square foot clubhouse with a 600 seat performing arts theatre where you will have live shows with top entertainment, and free movies 2 times a week. There is a grand ballroom where they have dinner parties, holiday dances. line dancing and social events.The beautiful resort style swimming pool has lush colorful landscaping and there is a cafe' for breakfast and lunch.There is also an indoor pool where they offer water aerobic classes and a full time social director.There are his and hers fitness centers with sauna, steam room, showers and lockers. Additional activities are 8 Har-Tru tennis courts, billiards parlor, arts and crafts, ceramics with there own kilm. Several card roooms to play bridge, canasta, mah-jongg and poker. Clubs such as computer-technology, mens and womens club, single club, line dance club, and travel club. There is a myriad of activities in the very active community. This is country club living without the country club fees.